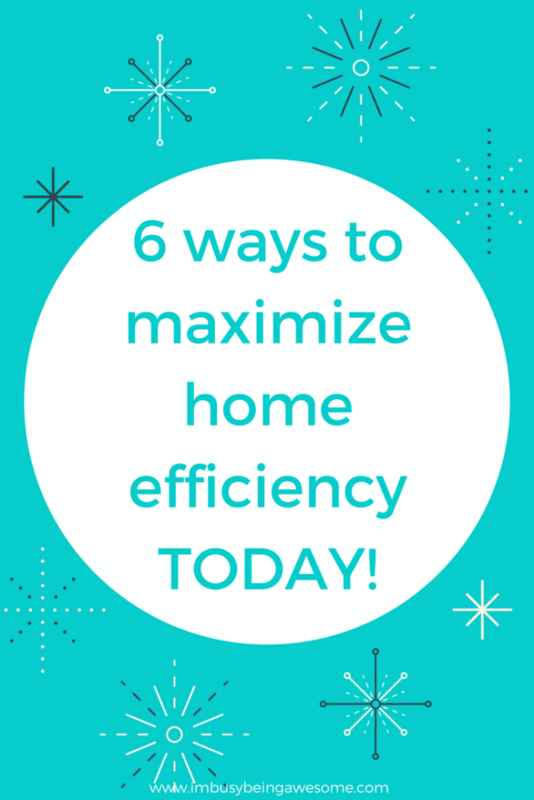 6 ways to maximize home efficiency TODAY! Efficiency is a term packed with meaning. From using your time wisely, to making an efficient use of space, to maximizing energy and effort, we run into the word all the time. 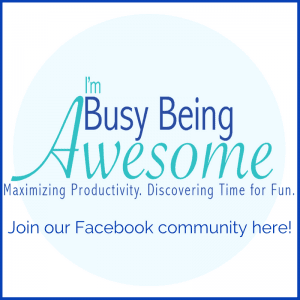 What’s more, I think we all strive to attain greater efficiency in our lives both at home and at work. I know I do! 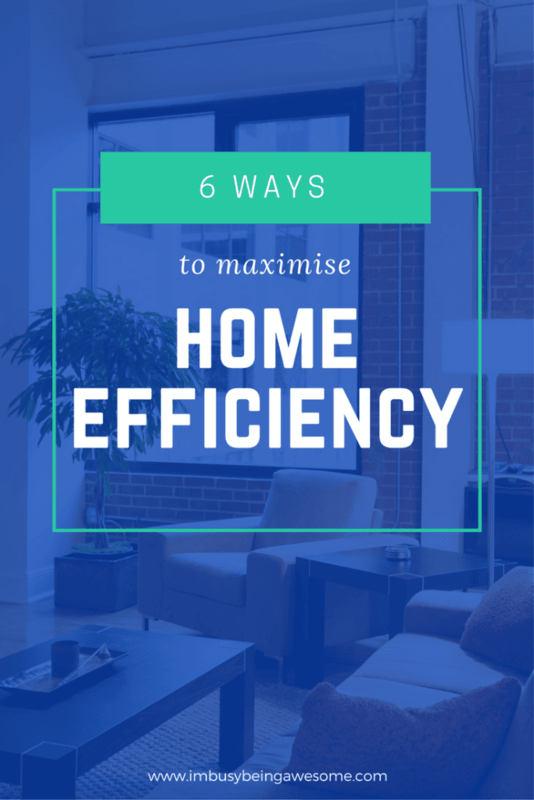 So today I’m sharing 6 ways you can maximize home efficiency. By incorporating these methods in your daily life, you’ll not only have a smoothly running home but also a positive living environment, which provides an immediate happiness boost. It’s a win-win! I’m always amazed at how much we can do to maximize storage and create more “open space” throughout the home. When we want to maximize storage and increase organization, it’s tempting to drive straight to the container store and buy every tote, basket, and set of drawers imaginable. But if we don’t take time to get rid of stuff we don’t need, then we’re simply packing unnecessary stuff into more stuff, which is certainly not helping the storage situation. 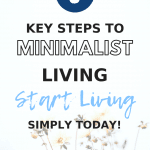 If you’re just starting your journey on minimizing your belongings, check out my posts on A Minimalist’s Guide to Minimalism, and Declutter Your Kitchen in 10 Easy Steps. 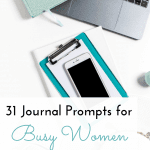 These are great resources to get you started. Once you weed out the excess, it’s time to make efficient use of your storage space. And this is a chance for you to get creative. How? By making use of all the hidden places in your home. Hallway storage, under the stairs, tucked away alcoves, and under the bed are all great storage options. Other simple tricks include hanging hooks on the back of doors, or using ottomans for secret storage (This is the one I use). If you’re dealing with children’s toys, there are so many great storage options out there as well. Another way to tackle home efficiency concerns your use of energy. 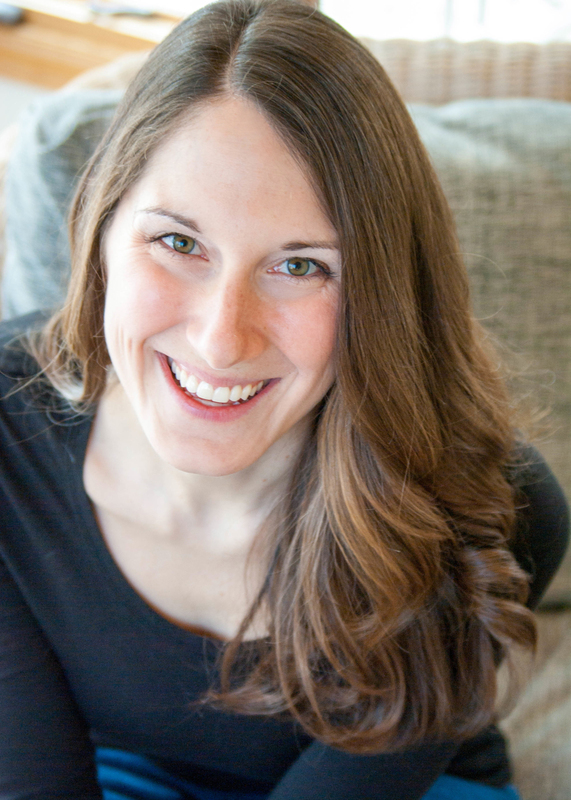 While this might not seem like a happiness booster on the surface, hear me out. First of all, energy efficiency in the home manifests itself in lower monthly bills. Since finances and budgeting are often a source of stress and worry in our daily lives, this can have a significant impact. By making a few simple changes around the home, we’re reducing the unnecessary financial stress and we’re saving money along the way. I won’t say no to that! In addition to saving money, increasing energy efficiency has a positive influence on the environment. As research continues pouring in about the damage we’re doing to our world, it’s so important that we make an effort to do our part. Big or small, our acts are important, especially if we all pitch in. And there are so many ways you can do this. Investing in water-saving toilet attachments, shower heads, dishwashers, and appliances are some great energy savers. Heat is another big energy ticket, especially during the winter months. And this can vary greatly depending on how you heat your home. If you’re looking to focus the heat in a specific room, view these baseboards; they’re a great way to keep cold air at bay. You might also consider upgrading your insulation or installing thicker windows. For a quicker fix, there are many window insulation kits out there that make a big difference. Meanwhile, even the simplest changes like switching to LED light bulbs will bring a positive impact. 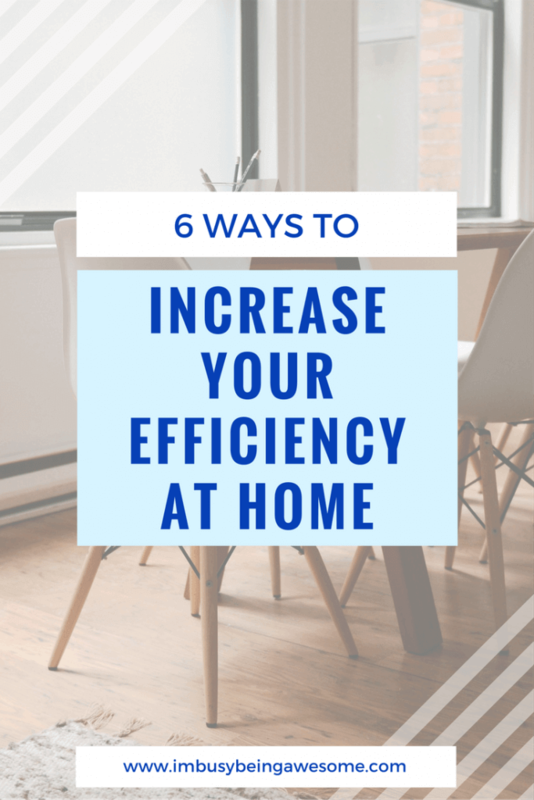 By taking the step to improve energy efficiency in your home, you’re on your way to saving money, enhancing your property value, and helping the environment. I’d that that’s three for three. In addition to maximizing storage space, it is also important to use each room efficiently. Take stock of the different locations in your home. Does each one serve a purpose? Are any rooms sitting untouched? Your challenge with this task is to give each room a genuine purpose. Perhaps this means changing your unused guest room into a home office. Maybe it means turning your sitting room into a game room for the kids. 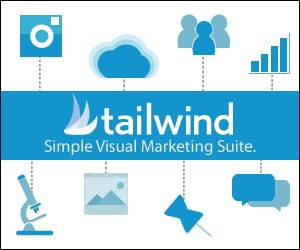 With a little creative thinking, the options are virtually endless. In the kitchen, I frequently find myself turning to one-pot recipes, slow cooker meals, make-ahead menus. etc. Anything that can save me time around meal prep is a major game changer. (This is one of my favorite hacks.) If you’re the same way, I recommend checking out these kitchen accessories for a great place to start. 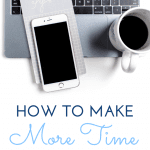 By taking these few extra steps to increase your time efficiency, you’re making more time to enjoy time with those you love. And that’s definitely a happiness booster. Something I plan to tackle this spring is planting a garden. I love the idea of feeding my family with the vegetables I’ve grown. First of all, I’m using the space in my backyard efficiently. And what’s more, growing produce reduces my grocery bills, encourages healthy eating, and gets me spending more time outside. Yes please! What are your secrets to increasing home efficiency? What will you try to incorporate going forward? I’d love to know! This is such a great post. I love the garden idea and light bulb idea. It’s amazing what impact it can make. The little things really add up, don’t they? Thanks! I seriously wish I’d worked on planting a garden this past spring. I’m actually kind of considering attempting an indoor one with grow lights, but I’m not sure if that’s a little crazy hah. Great list! Time efficiency is definitely something I really need to work on the most. Great advice! For me, time saved in the kitchen is so valuable. So like you, I love to maximize my use of the crock pot, and the other big kitchen time saver is batch cooking. There are a number of meals I now have on my list that I will actually double the whole thing and freeze half for later. Like shephard’s pie, lasagna, chili, that sort of thing. We just started doing KonMari on our home and I’m shocked at what a difference it makes! We’ve donated at least 50 bags of stuff and thrown out a lot of other stuff. It’s so much easier to stay organized now! Oh my gosh I am SO impressed. That’s incredible! It’s amazing how much “stuff” we collect when we stop and really look, isn’t it? And it feels SO GOOD to get rid of what’s unnecessary. Yeah! I’m excited to try it this spring/summer. I just need to figure out a way to keep the rabbits from eating it all. Ha!